A tropical vacation home but not just any tropical home purchase. I know exactly what I am looking for I just can’t find it. Some day I will have one of those deja vu moments. We love to go stay on a beach for our main vacations but I am always searching….. In my dreams I have a vision of a beautiful tropical place where we buy a house on the beach. The back of the house faces the ocean although there is a long island in the middle of a smallish bay before the open ocean. The water is deep enough to boat between the main land and the island. It is close but not close enough to swim to. It has great snorkeling right off our dock. It is not heavily populated in that area. There is one small resort with a store down the road quite a ways. The house needs lots of work but is in an ideal location. It is so beautiful there. Just the place for us to retire on a beach, at least part time. I know it is just a dream but every once in a while I will look at maps to see if I can find it. Maybe I just watch too much episodes of “House Hunters International.” Whatever the case may be it too is on my bucket list. If you have been somewhere like I described please help me by sending me the location to look at. If I find a photo similar too it I will also post it. Dreams….. Does anyone else dream of having a house on the beach?? What is an Exotic Vacation? Exotic vacations need not be what you would normally think. Exotic vacations to me are ones where you have unique experiences or ones that are different, foreign to you or make you feel extra special. That opens up a lot of room for you to have an exotic vacation. I have been to Venice a couple of times and it was defiantly a unique, different, foreign and memorable experience. I had never seen or experienced anything like it before. Some other exotic vacation experiences I can tell you about are Egypt, a Safari in Africa, canopying & the mud spa in Costa Rica, and even laying in the sun in Mexico. 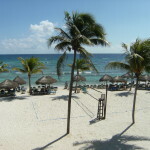 Talking of Mexico I am preparing to go on my annual Riviera Maya Mexico vacation. This year we have chosen two different resorts. One of them the Secrets Silversands Resort. 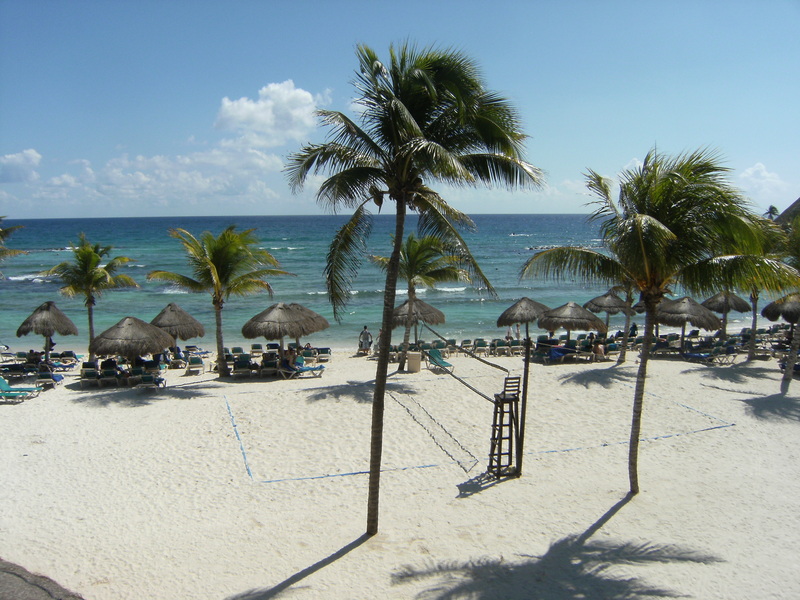 We chose this resort because we are looking for an exotic vacation. Exotic because it is supposed to be a classy high end luxury resort with a high level of service. I wanted to be spoiled this trip so we will see how this resort measures up to my hopes. San Francisco is a place where there is so much to do that you would need a couple weeks to fully experience it. There are many ways to see San Francisco. Some of the most popular are by car, on the famous cable cars, and various tour companies that provide narrated tours. 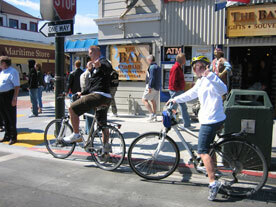 Try something different and see San Francisco by bike. You can rent them and even ride over the Golden Gate Bridge to Sausalito. Sausalito is another close interesting place to see, shop and have a dining experience next to the water. One of my favorite shopping sprees was in Sausalito where my husband bought a piano purse for my daughter. I love reading books. Books and vacations just go together for me. Most of the time nowadays I read off my digital device as I can carry a lot of books in a small light device. I do like my kindle (I have the old one) with the white screen to read out on the beach. The sun reflection is a real problem off my phone. I think that it is essential to keep learning. I love books that teach life and business skills. I thought I would share some of them with you. You can get them through these links to Amazon through my affiliate link. I hope you will share with me how these books affect you after you read them. In another post I will list my current favorite list of fiction that I am reading. This book is great for all ages. It has skills that when incorporated in your life increases your likeability and success in all area of your life. It is an easy to read and understand book. This little book has so many great life lessons in it. It will teach you at the depth of understanding that you have. Read it again and it teaches you more. This really made me think about the choices that I make. Sometimes it even scared me. I have Rhino of all sorts all over my house. We were given this book by the first millionaire that we spent time with as a gift. He believed this book held success secrets that could help us. I love the lessons in this book. From this we made the Rhino our family mascot. Easy jr. high level reading book that has powerful life lessons in it. I read this when I was making pottery but found there was so much more to it. All kids – and adults – should read this book. I read a lot of different types of books but life lesson books are at the top of my list. I like small easy to read books that I can read in a day or two. I don’t have the attention span for thick month long books. I hope you enjoy these books. I would love to hear your experiences with them. We really did see bikes in the water and dangling over the edge of the canal in Amsterdam, Holland Netherlands. We saw thousands of bikes at the train station as well as people riding them everywhere. Riding a bike in Amsterdam is easy and fun. It is one of the easiest places because bikes pretty much have the right of way everywhere. Parking for cars is difficult and expensive so a bike or public transportation is the way to go.